With a rich academic and performing background in jazz and classical music, composer/multi-instrumentalist Bill Douglas brings an experienced, creative approach to his playing and compositions. Douglas began his musical journey as a teenage rock and jazz performer in Canada, performing Elvis covers in his very first band. He went on to receive formal musical degrees from the University of Toronto and Yale University, where he studied with avant-garde composer Mel Powell. Douglas began his musical journey as a teenage rock and jazz performer in Canada, performing Elvis covers in his very first band. He went on to receive formal musical degrees from the University of Toronto and Yale University, where he studied with avant-garde composer Mel Powell. While at Yale, he also met clarinetist Richard Stoltzman; together, they developed a touring and recording collaboration, with Douglas accompanying Stoltzman on piano and bassoon in classical and jazz styles. Along with playing with jazz artists like Eddie Gomez and Gary Burton, Douglas also played bassoon with the Toronto Symphony. 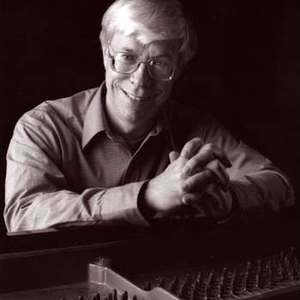 Douglas explored his teaching and compositional skills during a seven-year stay at the California Academy of Arts, and then settled in Boulder, CO, where he teaches music history and technique classes at the Naropa Institute. Douglas also developed "Rock Etudes" -- a rhythm study program for music classes -- used by music teachers worldwide. During the summers, Douglas focuses on his compositions, which blend his diverse experiences and interests into a cohesive and lyrical whole. Albums like Jewel Lake, Cantilena, Deep Peace, Earth Prayer, and 2000's Eternity's Sunrise reflect his multifaceted abilities.